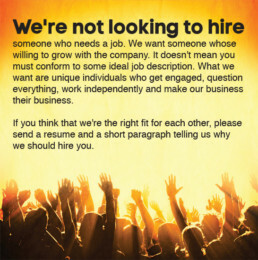 We are always looking for motivated, innovative individuals to help maximize our marketing efforts. The ideal candidate is passionate,analytical , and a driven professional. If you feel you may be the right fit for our organization, contact our team.